This is extremely unusual because Moscow has a track record of issuing sharp unambiguous responses to fake news claims and sometimes even outright mocking them, which strongly suggests that its non-denial implies some degree of truth to the latest reports no matter how “politically incorrect” this may be for the Alt-Media Community to accept. There’s long been a concerted disinformation campaign at play aimed at trying to convince people that Russia is apparently an “anti-Zionist crusader state”, which couldn’t be further from the truth when recalling the regular praise that President Putin lavished on “Israel” during his nearly two decades in office, which led to the author concluding that President Putin is actually a proud philo-Semite. The part about how “there were close (proposals), but not coinciding with this idea” reveals that Russia was in fact discussing something along these lines all along in spite of its official denials, exactly as the author in hindsight correctly analyzed back in May. 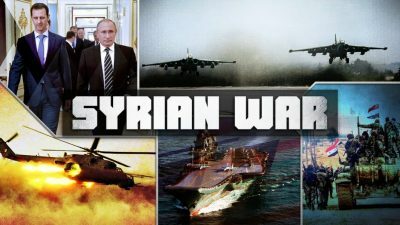 In fact, subsequent “policy proposals” by the influential and publicly financed Russian International Affairs Council (RIAC) suggest that the Kremlin is very serious about removing Iran from Syria.